The Second Chance (Andra Chancen) of Melodifestivalen 2017 was held tonight in SAAB Arena in Linköping, choosing the last four finalists for next Saturdays Final in Melodifestivalen. 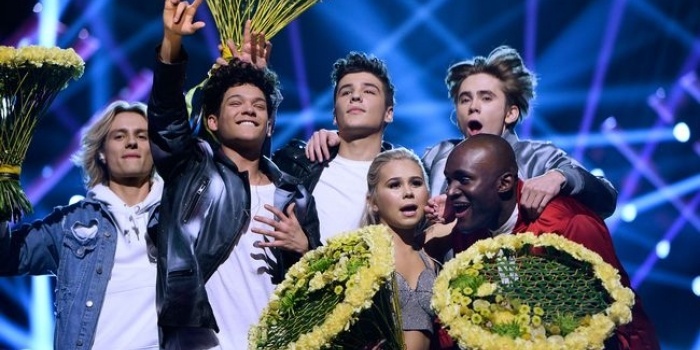 Two songs (3rd and 4th) from each heat (deltävling) qualified to the Second Chance, and the four best of them were selected for the Final: FO&O, Lisa Ajax, Boris René and Anton Hagman. Surprisingly Loreen didn't qualify for the Final of Melodifestivalen 2017, but was beat by Anton Hagman. Like the previous years the votes will not be unveiled before the Final of Melodifestivalen 11 March 2017. FO&O – "Gotta Thing About You"
De Vet Du – "Road Trip"
Axel Schylström – "När ingen ser"
Lisa Ajax – "I Don't Give A"
Boris René – "Her Kiss"
Anton Hagman – "Kiss You Goodbye"
Ace Wilder – "Wild Child"
Robin Bengtsson – "I Can't Go On"
Jon Henrik Fjällgren feat. Aninia – "En värld full av strider"
Mariette – "A Million Years"
Wiktoria – "As I Lay Me Down"
Benjamin Ingrosso – "Good Lovin'"
Owe Thörnqvist – "Boogieman Blues"
Sweden 2015: Måns Zelmerlöw - "Heroes"
They came last two times ( 1963 and 1977), and since the introduction of the Semi-finals in 2004 Sweden managed to qualify for the Grand Final 12 out of 13 times! (only skipped the qualification in 2010).